Stella Ryan has rebuilt her life in the sleepy coastal town of Port Elliot after learning some hard lessons during a long stint in Sydney. When her boutique shop is affected by fire, she needs someone to help her rebuild it bigger and better than it was before. Luca Morelli, brother of Anna and Stella’s best customer, has started a new building company in Adelaide. After some prompting from his bossy older sister, Luca makes his way to Port Elliot and Stella’s Boutique. He doesn’t intend to take the job, but there’s something about the gorgeous, independent Stella that changes his mind. The working relationship between them soon develops into something more, but can Stella overcome her past and let what they have flourish? I loved being drawn back into Middle Point and its slightly busier neighbour of Port Elliot. Characters from the three previous books in the series popped in and out of Stella’s story so we can see where where they are at in their lives. But this was Stella’s story and Stella was a flawed character. Troubled by her past, she unreasonably applies rules to herself and her future. I could relate to her, not the troubled past bit, but the working ethic she had to better herself and her circumstances. All the characters love Stella, yet her attitudes were quite selfish at times. I admit I found Stella, particularly her attitude to men, annoying. One bad experience does not mean all men should be tarred with the same brush. Her fixation on Luca’s age also seemed out of place, as if she needed another excuse to avoid a relationship with him. Luca felt like a typical, hard working, Aussie/Italian bloke. I would have liked to have seen a little more of his life and friends in Adelaide. As it stood, we really only saw a little of the life he was walking away from to pursue Stella. But for the most part, he was a nice character and I liked the connection he had with Anna. 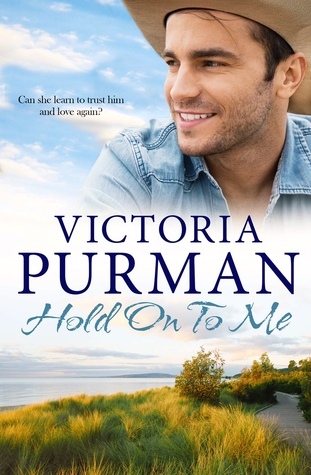 Victoria Purman is great at drawing you into a character’s story and living through their lives, even if you don’t particularly like the character. So while I don’t rate this book as highly as the previous books in the series, it’s definitely worth a read, especially if you like romance. Pingback: Australian Women Writer’s Challenge 2016 – Complete – Read. Write. Run.